In a bit of hot water? It’s not uncommon to find yourself indebted. Our consultants can examine your current financial status, and recommend a plan of action to address your debt. And best of all, your initial consultation is completely free. Profits stagnant? We’ll discuss financial actions that can boost – or save – your current business. Our staff has the experience and know-how to recommend a course of action, and implement the business plan portfolio package that will lead you to your own large commercial funding. Haven Financial Group are experts in the field of financial services. We specialize in financial business planning, debt counseling services, portfolio management, and investment management. Our elite and experienced staff prides itself on aiding each of our clients in achieving their real financial goals. We will always begin with a free financial consultation to determine current financial needs and future financial goals. Once the initial consultation has been completed, we will then compose and execute a thorough business plan that will ensure each client attains their goals. Haven Financial Group specializes in portfolio management, and we strive to give our clients exactly what they need. An investment advisor will organize and analyze your individual financial stance, and then compare it to your financial priorities. 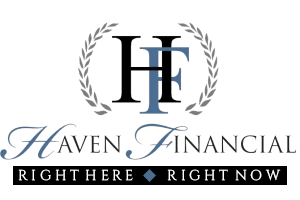 Start thriving today with a financial portfolio consultation through Haven Financial Group. Marketing builds a business. You can’t sell a product or a service without putting yourself out there. Let us help you get your business on the market.